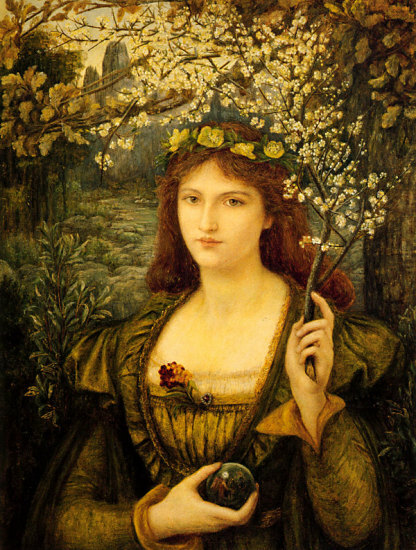 Marie Sparteli (later Stillman) was born on March 4, 1844 to Greek immigrants living in London. 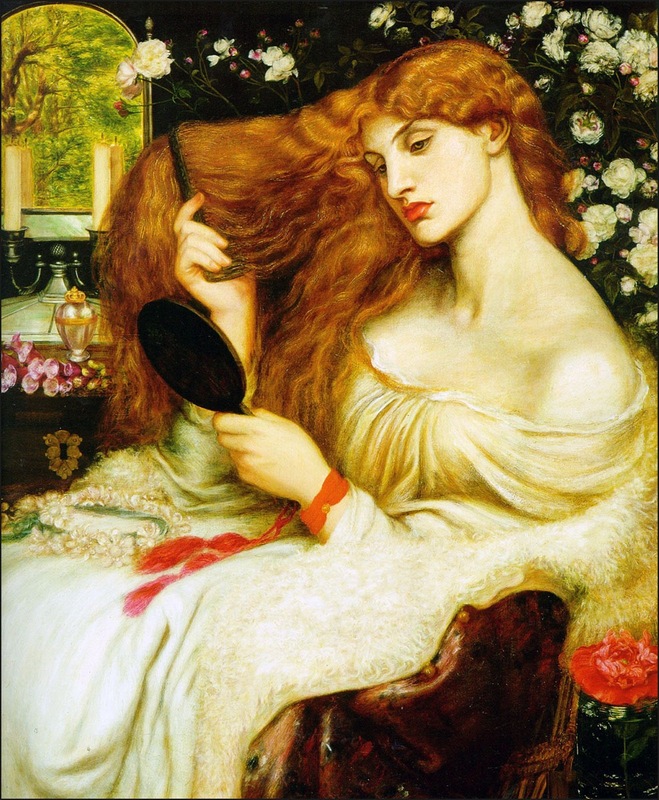 While females are mostly known as the famous muses/models of the Pre-Raphaelite movement (and Marie, herself, did pose for Ford Madox Brown and Rossetti), Marie became a renowned artist in her own right. 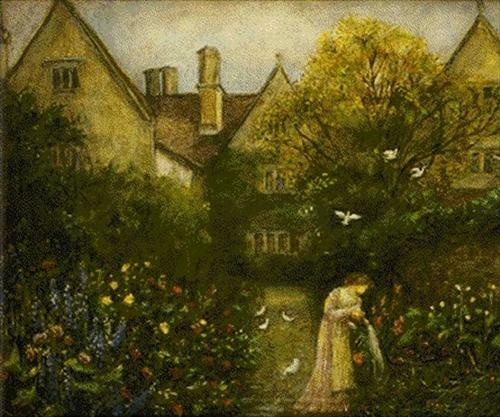 Her father enjoyed throwing garden parties in which he was noted for inviting up and coming artists. 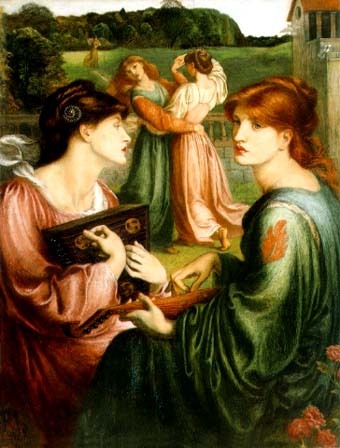 It was during one of these gatherings that Marie met the famous writer and critic, Swinburne. It may have been through this meeting that she was later introduced to the wider Pre-Raphelite circle. 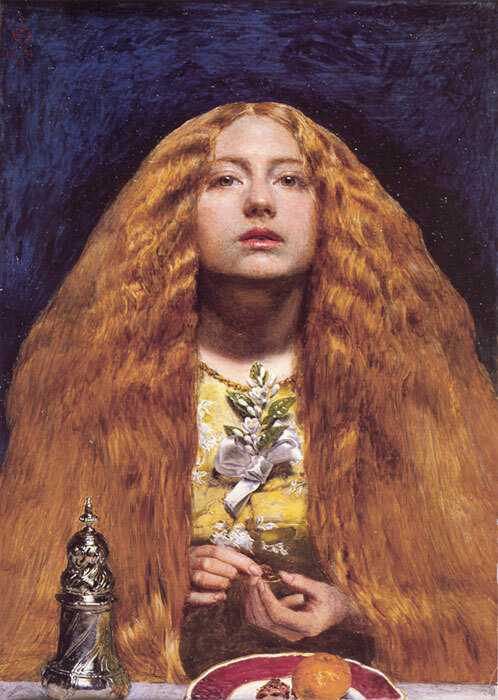 She began studying art under the tutelage of Madox Brown in 1864. 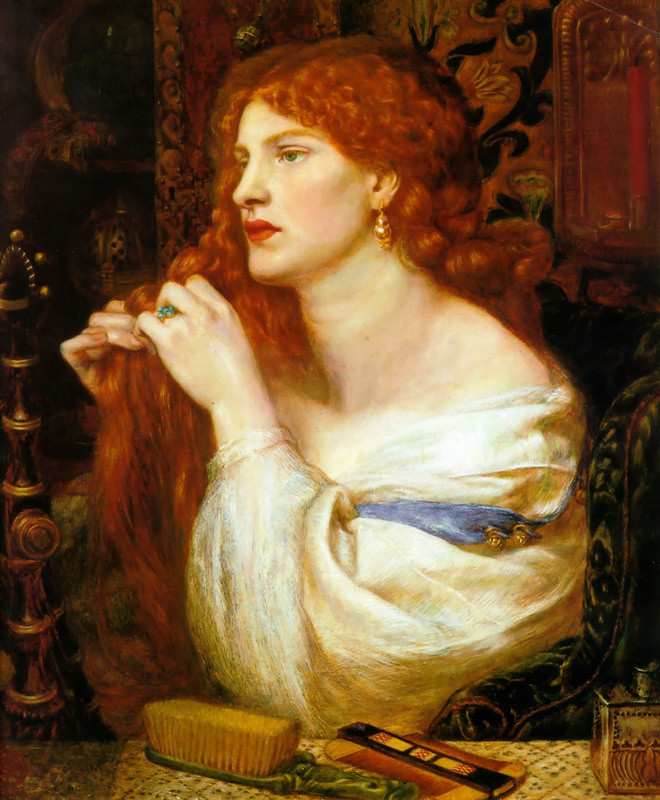 Like the other Pre-Raphaelites, Marie was enamored with Shakespeare, Dante, and Boccaccio, amongst others. 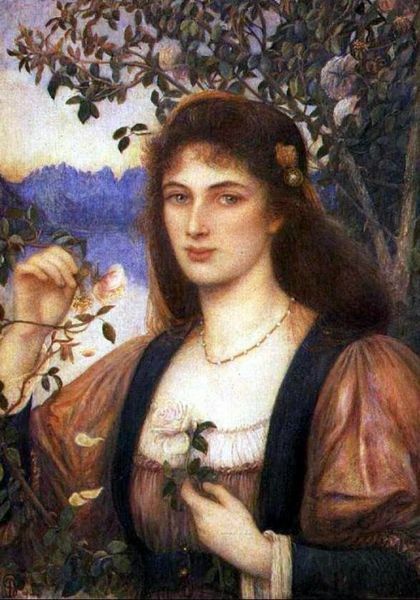 At the age of twenty- seven, she wed the American painter and journalist, William Stillman. Together, they split their time between London, Rome, and Florence. 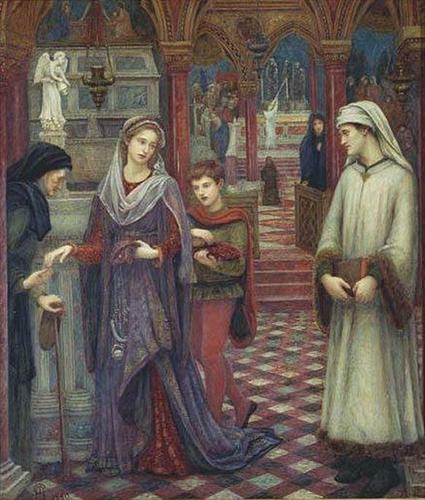 Marie and William had three children. Unfortunately, the youngest son died as an infant. However, her eldest, Michael, moved to the United States as and adult where he became a successful architecht. Her daughter, Sonia Zuckerman, is still alive, and is known for her philanthropical works. 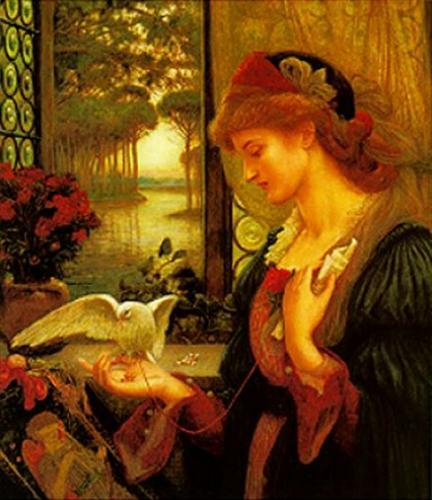 Marie died on March 6, 1927. After being cremated, her ashes were interred in her father’s tomb. 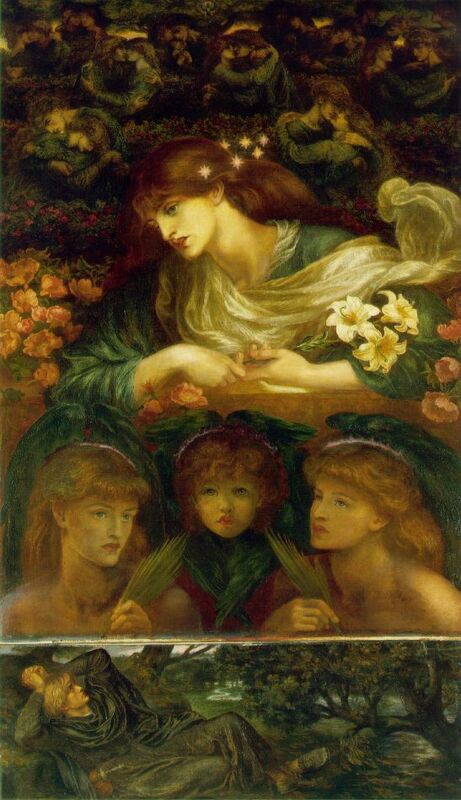 In 1848, Dante Gabriel Rossetti, William Holman Hunt, and John Everett Millais formed the Pre-Raphaelite Brotherhood. 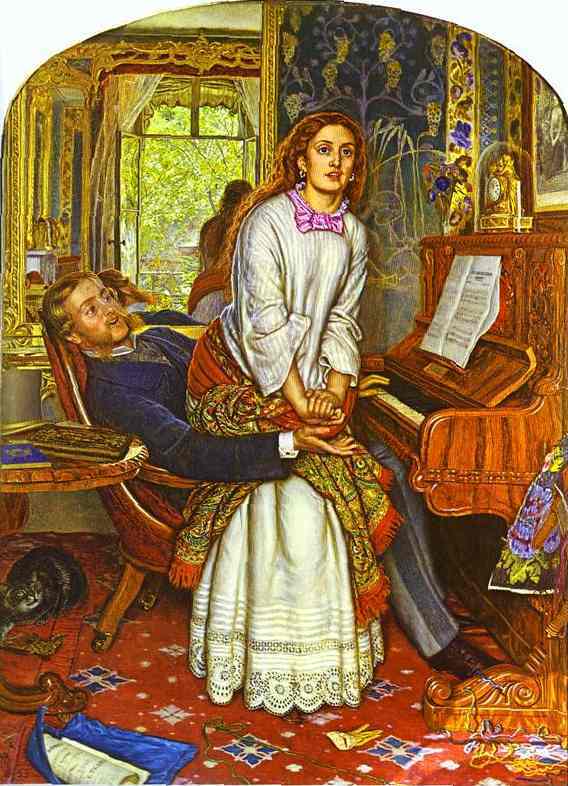 By autumn, they were joined by William Michael Rossetti, Thomas Woolner, James Collinson, and Frederic George Stephens. Believing that the methods taught by Sir Joshua Reynolds, the founder of The English Royal Academy of Arts, were too formulaic and frivilous, they wished to return art to the lofty “truth to nature.” They turned their attentions away from Raphael (whose work they considered too theatrical) and back to the artists who came before him- appreciating the more simplistic, yet detail-riched, and vibrant colors of the past. 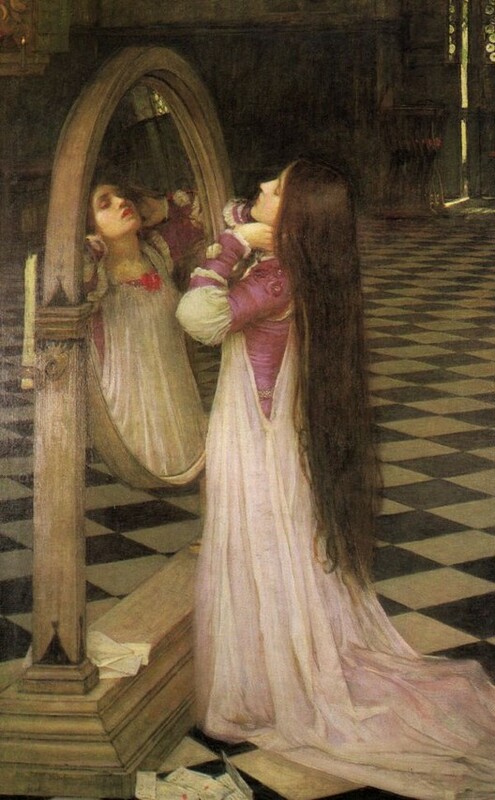 The Pre-Raphaelitess were also influenced by Romanticism which emphasized that individual freedom and responsibility were inseparable, and aimed to only paint earnest subjects. Their style was remarkably focused as they insisted on painting from direct observation. Therefore, while many of their subjects came from poetry, legends, and plays, they were drawn in an intensely realistic manner. 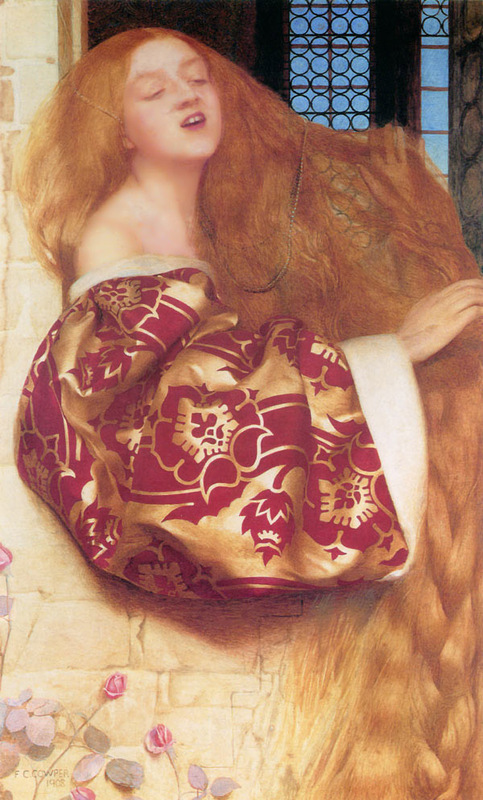 The painters went through great lengths to achieve this photographic realism. 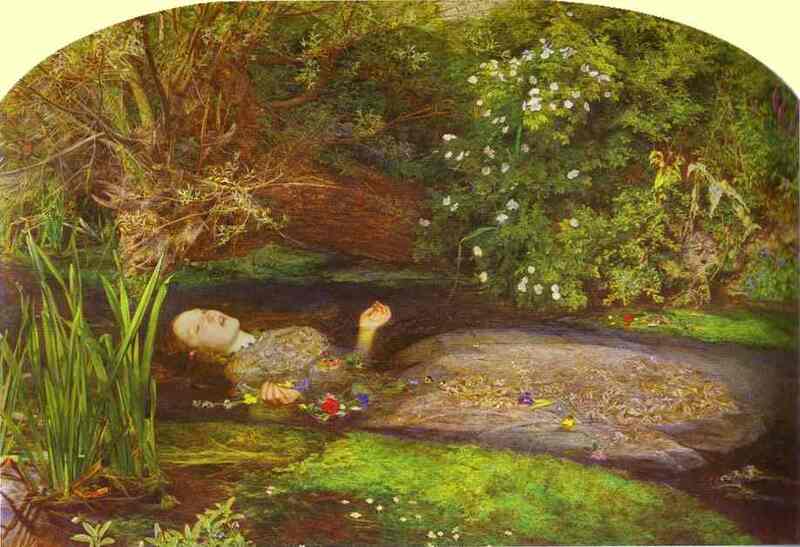 (as did their models) One famous example of this is the painting, Ophelia, by Millais. For four months, he painted the wildflowers and vegetation on one exact spot in Surrey, England. 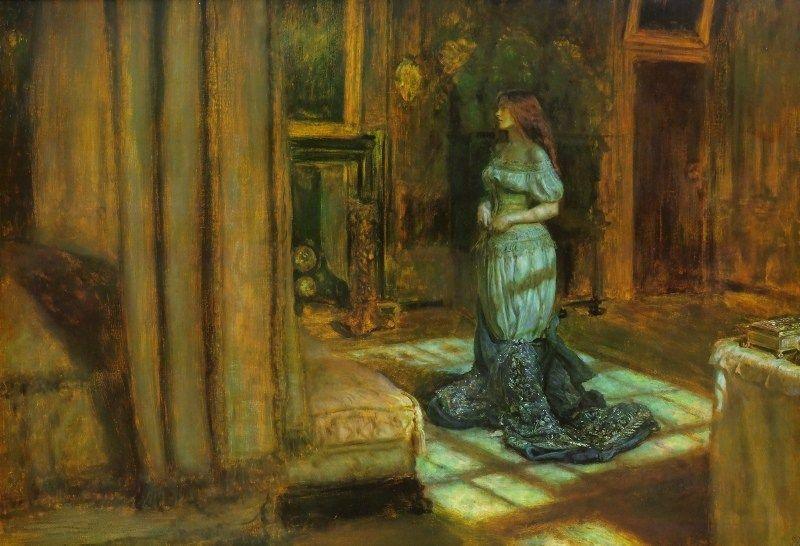 He then returned to London to paint his model, Elizabeth Siddal, posing in a bath full of water, to capture the doomed woman’s demise as accurately as possible. 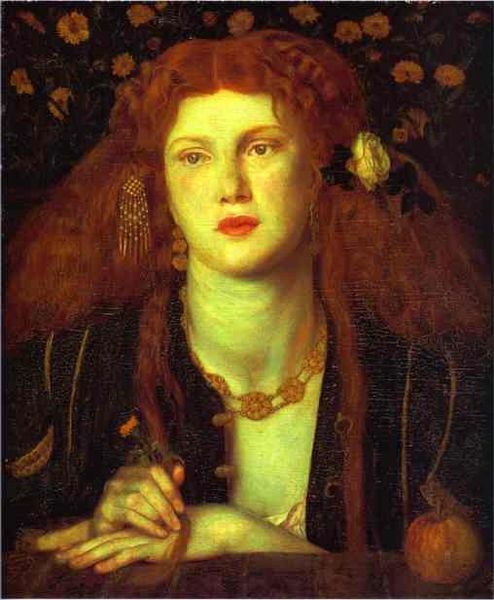 In 1872, Dante Rossetti also used Siddal in his painting, Beata Beatrix. 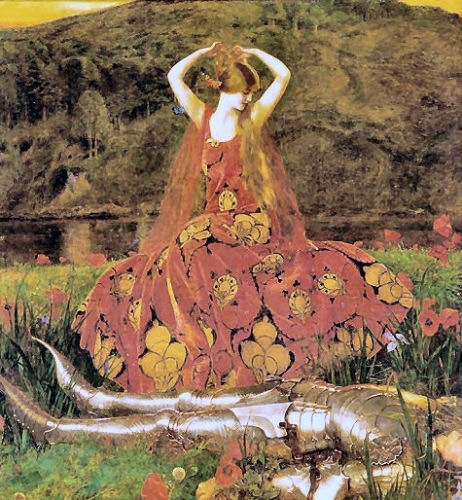 In it, he depicted Elizabeth as the Beatrice of Dante Alighieri’s poem, La Vita Nuova, at her moment of death. 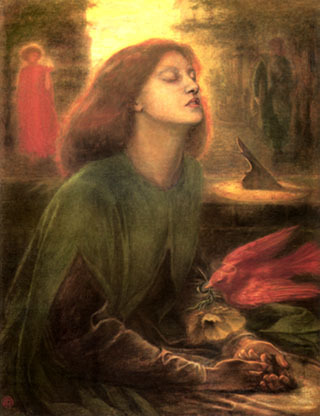 Dante Rossetti had to paint Elizabeth Siddal from old drawings he had of her. For his favorite model (and his wife) had been dead, herself, for ten years.